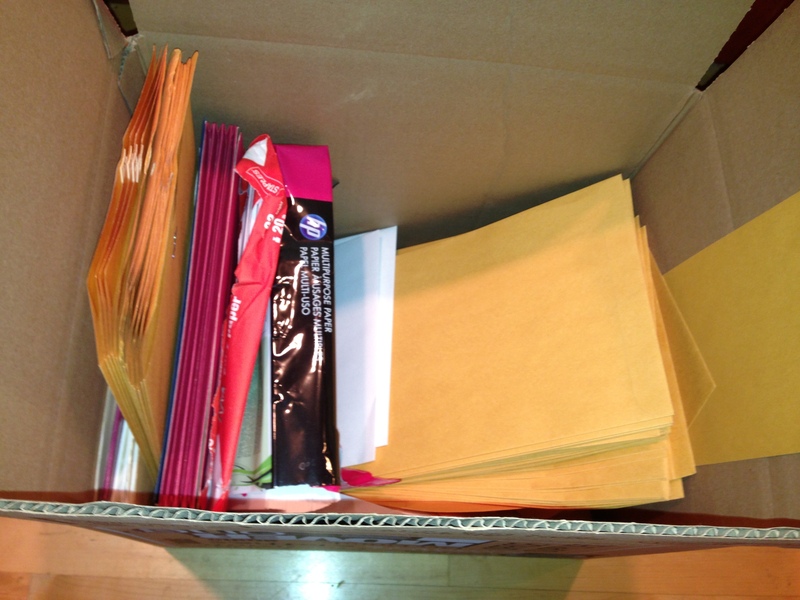 Clump #52: Empty last box of parents’ belongings. This is the last of the dreaded cardboard boxes to clump out. Phew! The 30-day, 30-clump, 30-post challenge continues with deep appreciation for all who have joined me in spirit and with encouragement. Thank you! 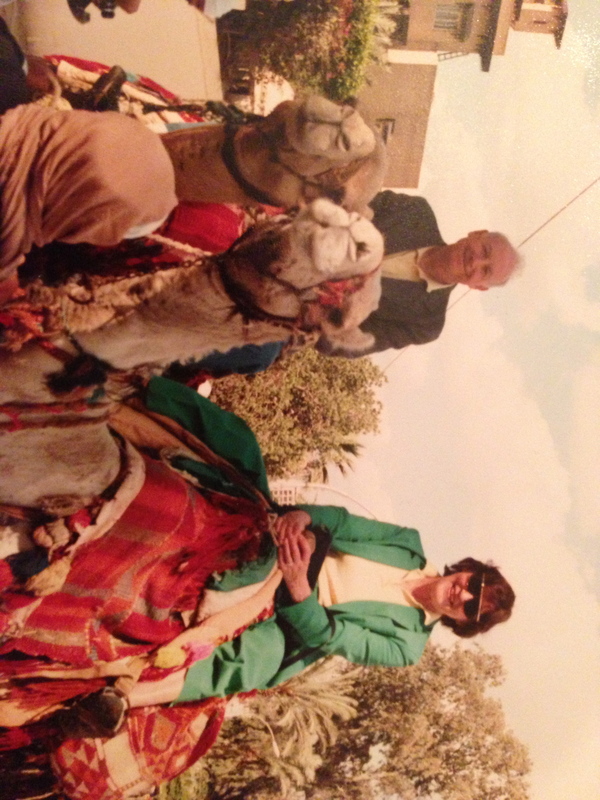 Here are my parents on one of their post-retirement trips. Good to keep in mind those happier days. I thought this one would be a piece of cake … office supplies and an old, non-functioning printer. 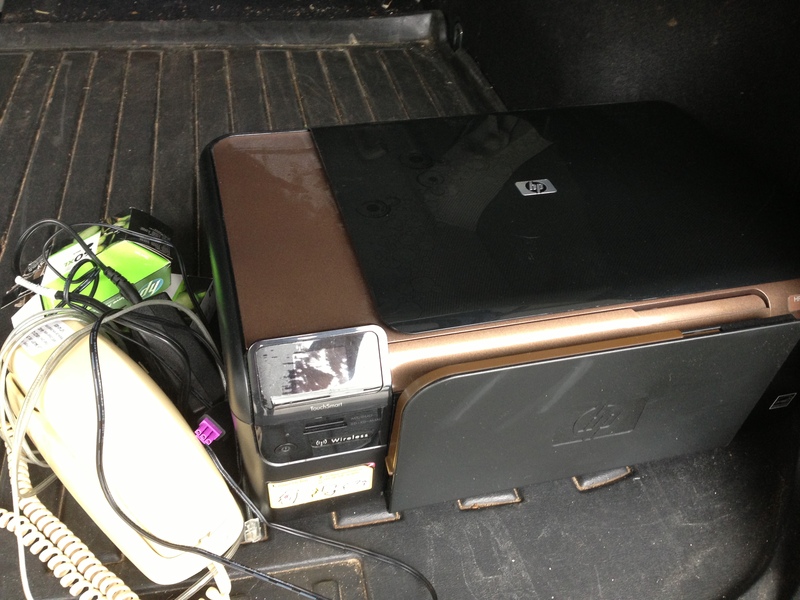 Here is the printer, an old telephone, and some printer ink cartridges popped into the car to go to Best Buy. They took the printer and the telephone for recycling at the Best Buy Customer Service desk. The clerk said the only thing he couldn’t take were the cardboard boxes the printer ink cartridges were in. Curbside paper recycling at home, then. This was the dispensary at the entrance to the store, receiving: Plastic Bags; CD’s, DVD’s & Cases; Rechargeable Batteries; Ink & Toner Cartridges; Gift Cards; Wires, Cords, & Cables; and Remotes & Controllers. Now I know! I thought I was home free until I got to some sad things, like the soles of my dad’s shoes. I had unsuccessfully tried to relieve his pain with orthotics. 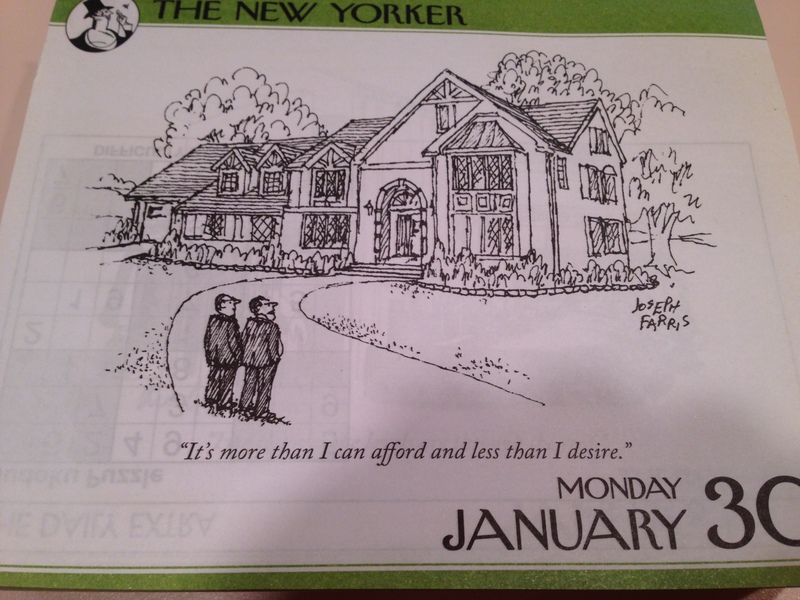 Also, a New Yorker cartoon page-a-day calendar I gave him for a daily chuckle. He didn’t get too far with it. The cartoon he left on top was a good message for accumulating, and reducing, material things: make sure you truly desire all that you own. 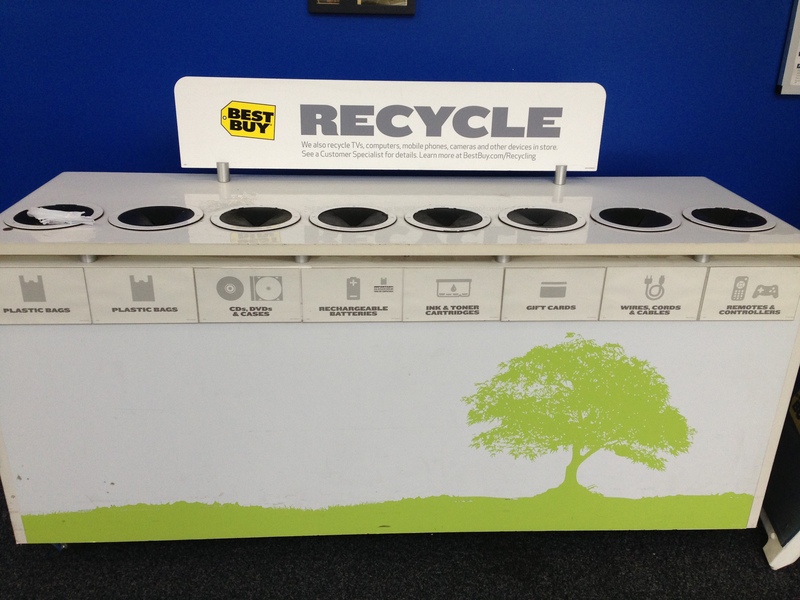 Thank you for the photo of the Best Buy recycle center. Maybe I’d better make a trip myself….